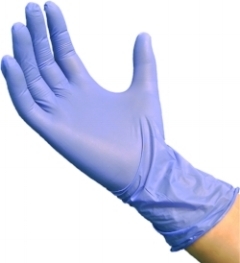 Our 3.5 Nitrile exam gloves are an excellent barrier against blood-borne pathogens & viruses. Designed for those with sensitive skin that leads to glove induced allergies. This glove is FDA approved for low dermatitis potential, protecting against induced Type I & Type IV hypersensitivity. Barrier protection is the most important aspect of glove performance, while enhanced feel and tactile sensitivity are the most desired. 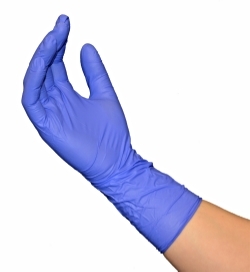 HCS presents the 3.0 Nitrile Exam Glove which allows you to have both!